Welcome to mile marker 10 of this #encourage marathon! (You can read yesterday’s post here). Someone out there is growing weary. It might even be you. There’s an old story I’d like to share with you. You’ve probably heard it before, but please bear with me. A man was walking on the beach one day and noticed a boy who was reaching down, picking up a starfish and throwing it in the ocean. “Why are you throwing starfish into the ocean?” asked the man. “The tide stranded them. If I don’t throw them in the water before the sun comes up, they’ll die,” came the answer. The vastness of pain, death, sorrow, faithlessness, laziness is overwhelming. We do what we can for whomever we can, but there are still thousands lost. It’s easy to think that nothing you do makes any difference. Having grown up on the pew, I’ve had the opportunity to observe hundreds of Christians—preachers, teachers, deacons, elders, workers, and even slackers. No matter how boundless their energy (of all but the slacker of course), no matter how strong the church, at some point these folks grow a little tired. Wherever people are involved, there will be problems. The workers begin to wonder—does anything I do make a difference? Discouragement abounds. For my blogging friends who are trying to proclaim God and His Word, I know you spend countless hours painstakingly crafting your articles, searching out the right images, coming up with searchable tags, promoting on social media—only to get a paltry amount of feedback at the end of the day. You never know if anyone was positively impacted by your article. “Why am I investing all this time? It doesn’t make any difference!” Discouragement abounds. In today’s verse, Paul tells the Galatians to “not grow weary while doing good.” This admonition is necessary for all of us. Satan has no desire to see good works performed and will do everything to thwart them. For example, while you’re teaching, Satan will try and pull people away from you by whatever means possible. Some refuse to believe for fear of ostracism. Others are perfectly content to be deluded by false doctrine, even when they recognize the truth of the scriptures. There will be classes (with Christians) in which they would rather criticize the grammar/style/wording of the material instead of trying to learn what they could. Satan also likes to taint acts of kindness. I know of many people who have given rides to the shut-ins, bought groceries for the poor, given money to total strangers, cared for foster children, helped families in need only to learn afterwards of grumbling, deceit, or ingratitude. Discouragement abounds. Due to this prevalent discouragement, it is vital to remember your ‘why’: Why are you doing these things? Is it for your own glory? Is it so people will give you a pat on the back? Is it for the satisfaction of a job well done? I promise you, there is no lasting reward in those reasons. Every good thing we do should be an offering to God, motivated by love. He sees your labor, your tears, and your disappointment. He does not despise your sacrifice. Think, for a moment, about Noah. He preached for 100 years while he built the ark. How many people got into the ark with him? Seven—all family members. Most of us don’t even live for 100 years, let alone work for the Lord that long. Imagine his sorrow and disappointment as he boarded the ark with only his family, while all around him his neighbors were about to be drowned because they would not listen. And yet, in spite of that heartache, the Lord fulfilled His promise toward Noah and he was blessed. Every good work we do for the Lord (and not for ourselves) is treasure we lay up in heaven. They are seeds we are planting. Even if we never see the harvest in this life, the Lord will give it to us in the next. We will receive a reward for our work. Nobody—not even Satan—can take that away from us. Do not grow weary in teaching. Do not grow weary in writing. Do not grow weary in serving. Do not lose heart! I hope you’ll continue to join me on Facebook, Twitter and here at Elihu’s Corner for this marathon. Share the image or verse reference on your Twitter feed or Facebook page with the hash tag (#encourage). Take time today to copy down this verse for yourself. Send an email or text to someone you know who would benefit from this encouragement. Make a little time each day to write down these verses. Studies have shown that the physical act of writing increases retention far more than typing or reading. You are making a difference my friend. Thanks for the encouragement. Be blessed! Thanks, Michael! I appreciate your encouragement. I definitely need it! 😊 God be with you. thanks for this one, I often feel that way – about no one reading. I loved the starfish story. I think all of us bloggers feel that way from time to time. Keep writing! You’re doing a great job. I think my dad was the first one to tell me the starfish story. It’s always stayed with me as a reminder that we each make an impact, no matter how minor. Thanks for sharing this, Vincent! I am thankful for all you do to promote other bloggers. I have connected with some great bloggers through your site. God be with you! To remember that satan cannot destroy or take away anything given to God in love is a powerful tool against discouragement and giving in to weariness. Another useful tool in my work! Thank you. It is key to remember in this world we will have troubles and dissapointment, but a city on a hill cannot be hid…your encouragement here has touched my life, reminded me to keep pressing on. 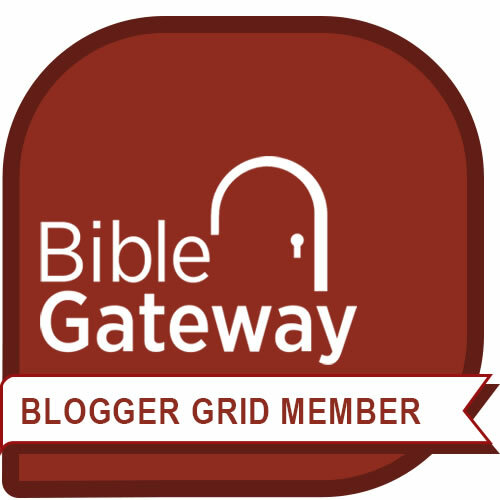 As iron sharpens iron, one blogger sharpens another! Thanking God for your dedication to this marathon! Somehow I missed this beautiful comment. I’m glad I finally spotted it! I am so glad that we can encourage one another in our walk. I have been immensely blessed by your comments and posts these past several days. God be with you. A dear friend pointed out to me today that we are not meant to live this life alone! In the mess of today, my 50 gallon bucket overfloweth! !